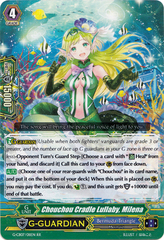 Card Effect: [G guardian] (Usable when both fighters' vanguards are grade 3 or greater, and the number of face up G guardians in your G zone is three or less)-Opponent Turn's Guard Step-[Choose a card with "Heal" from your hand, and discard it] Call this card to your (GC) from face down. 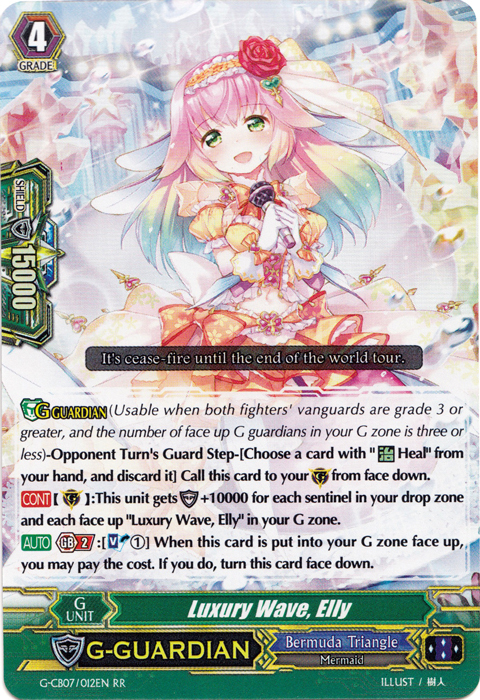 [CONT](GC):This unit gets [Shield]+10000 for each face up "Luxury Wave, Elly" in your G zone and sentinel in your drop zone. 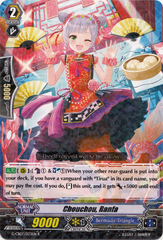 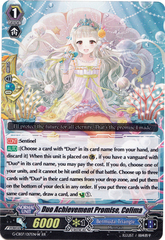 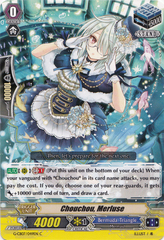 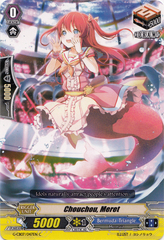 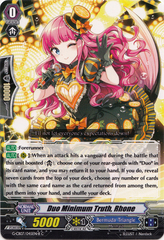 [AUTO] Generation Break 2:[Soul Blast (1)] When this card is put into your G zone face up, you may pay the cost. 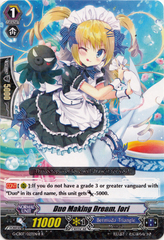 If you do, turn this card face down.